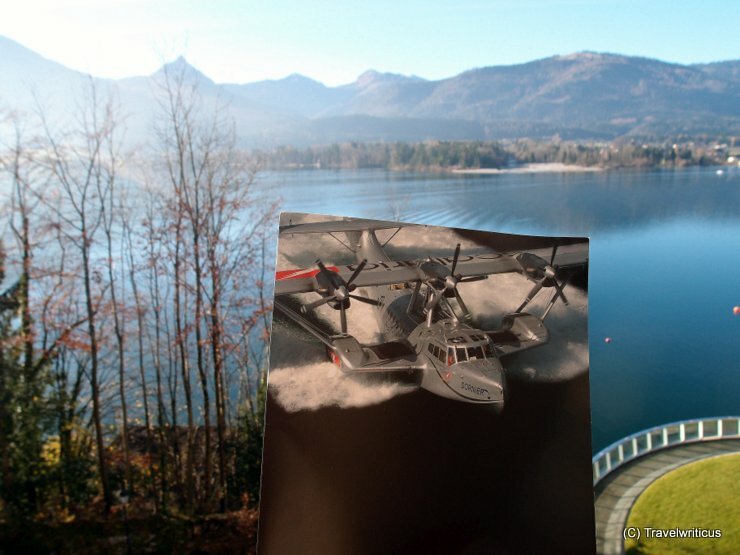 While staying at the event location Scalaria I often came across photos and posters of this great water plane, a Dornier DO24 TT. It reminded me of the fact, that every year an air show takes place above the nearby lake Wolfgangsee. An interesting continuation: In the 1920s there was a connection between Vienna and lake Wolfgangsee by water planes! This entry was posted in Aviation, Events and tagged Austria, Salzkammergut, Sankt Wolfgang im Salzkammergut, Upper Austria by Travelwriticus. Bookmark the permalink.